Gifts cards are a great way to say “Thank you,” “Congratulations,” and even “Job well done.” Gift cards can be purchased for the amount of your choosing and can be mailed to either you or whomever you are giving them to. Disclaimer: We are unable to ship outside of the continental United States. 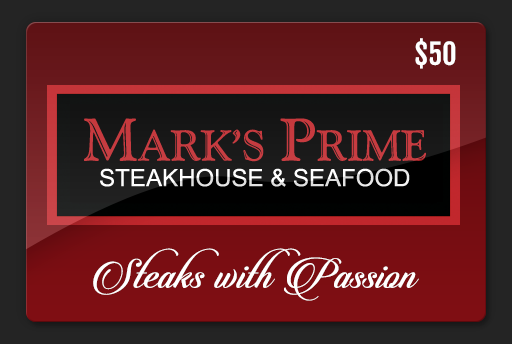 Buying a Marks Prime Steakhouse Gift Card over the Internet is a secure transaction. Your credit card security and personal privacy is our priority in providing you this convenient online service. 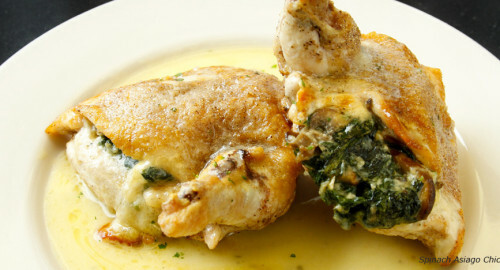 Marks Prime Steakhouse uses the best security available today. It encrypts (scrambles in code) all the personal data including your credit card and telephone numbers, name, and address. Marks Prime Steakhouse uses Secure Socket Layer (SSL), an advanced technology that works with today’s most popular Internet browsers, to protect your credit card information.All gift card orders will be processed the following business day. Gift card orders are not processed on Saturdays, Sundays or Holidays, including Thanksgiving, the day after Thanksgiving, Christmas Eve, Christmas Day and New Year’s Day. Gift Cards shipped via US Mail cannot be tracked and therefore, Marks Prime Steakhouse cannot replace cards that are lost or stolen via US Mail. This shipping method is non-traceable and typically takes 10 business days to arrive. We regret that we cannot ship to APO/FPO or International addresses. Please keep in mind that UPS cannot ship to a P.O. Box.